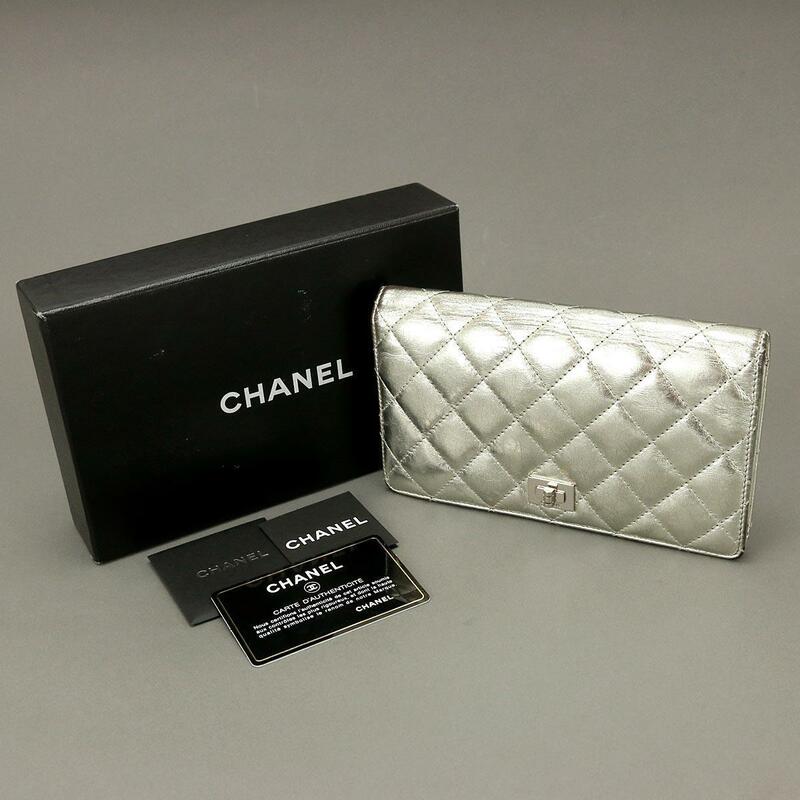 Chanel Matrasse 2.55 Purse Leather A35304 [Brand] ★ ー The best place to buy Brand Bags Watches Jewelry, Bramo! 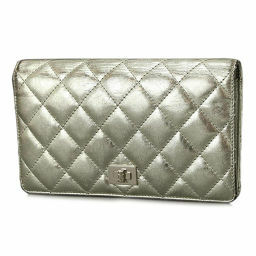 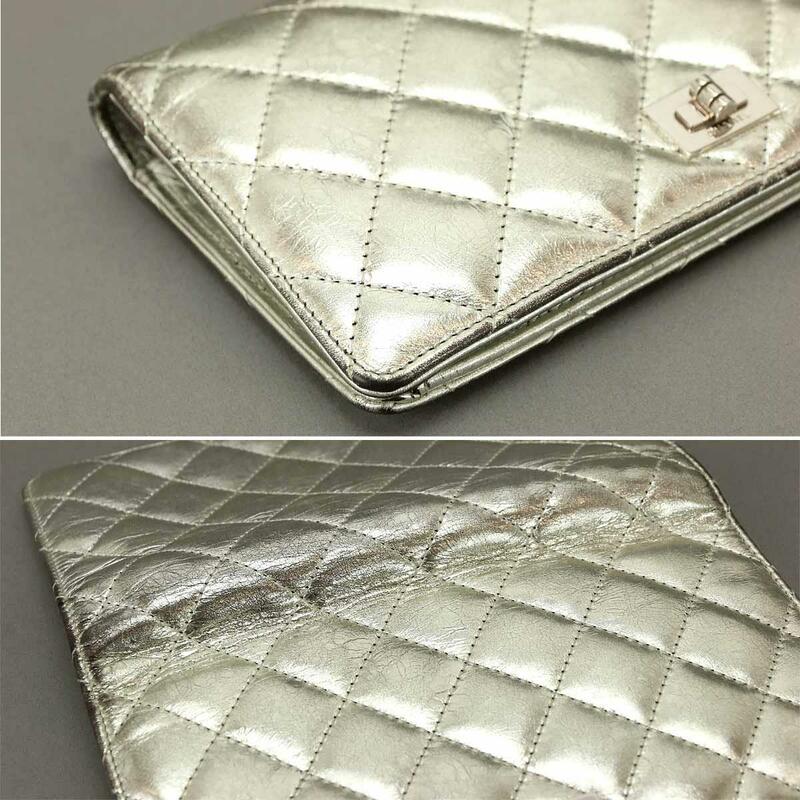 It is a 2-fold long wallet of 2.55 series from Chanel. 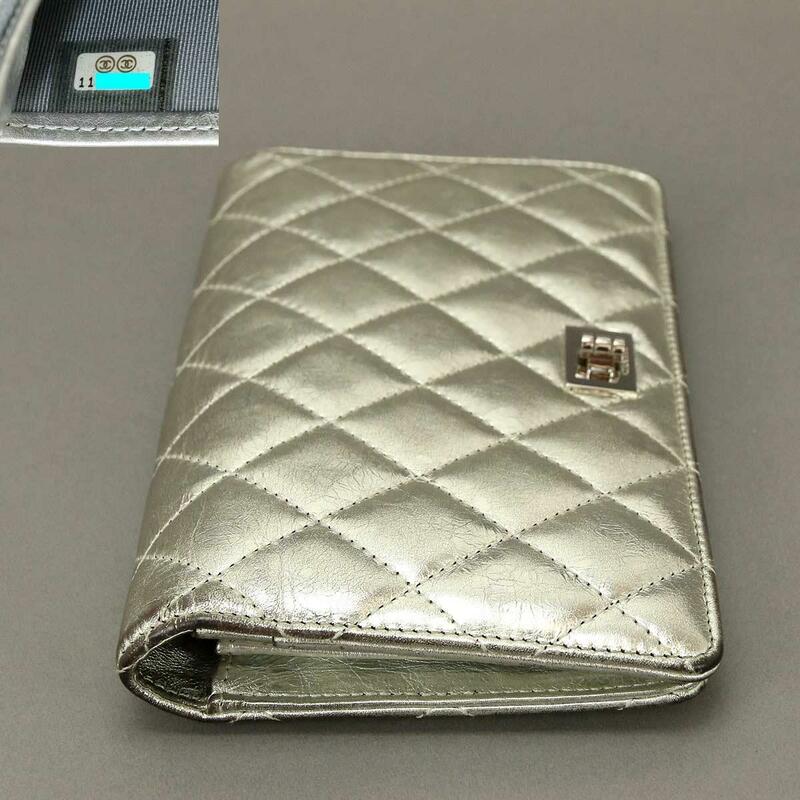 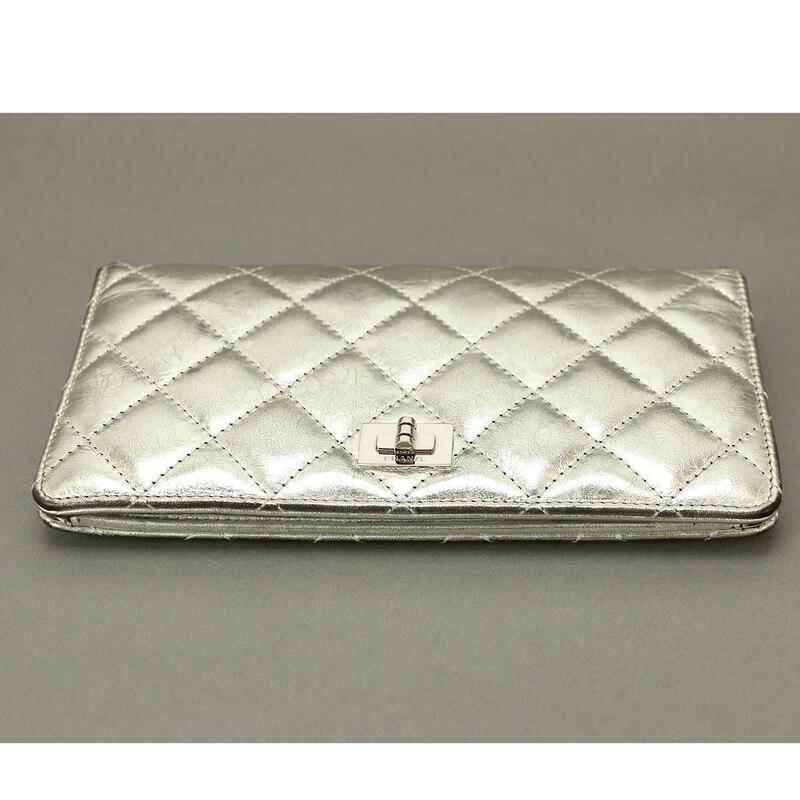 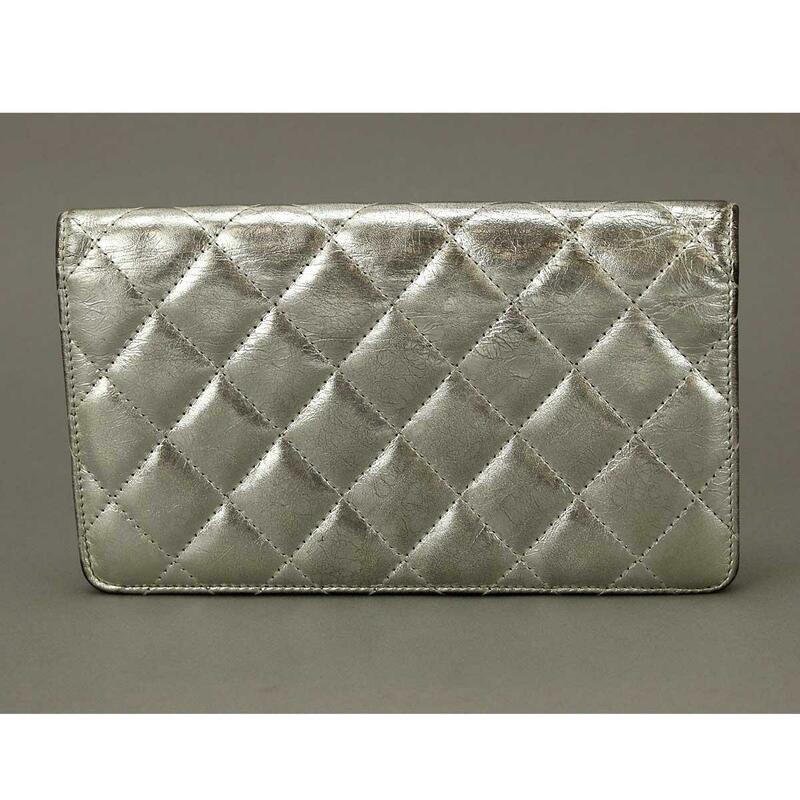 Silver metallic color is full of sense of quality, storage power is excellent inside and there are many card insertions and pockets, and it is item full of sense of design that is good as well as usability. 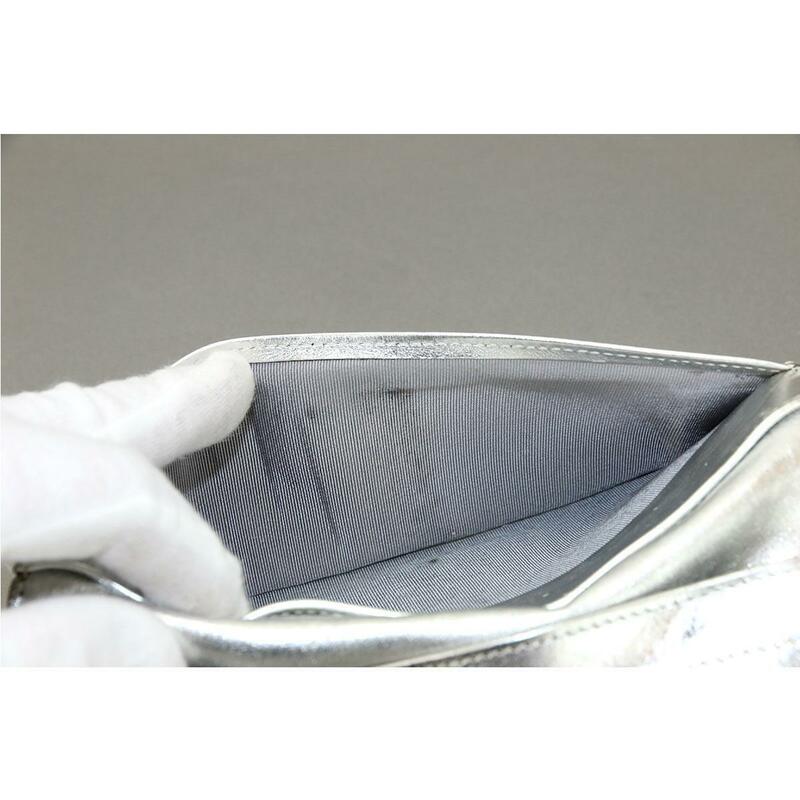 Outside: There are shape defects, threads, scratches, wrinkles, dirt on the corners and in the vicinity, and small scratches on metal fittings. 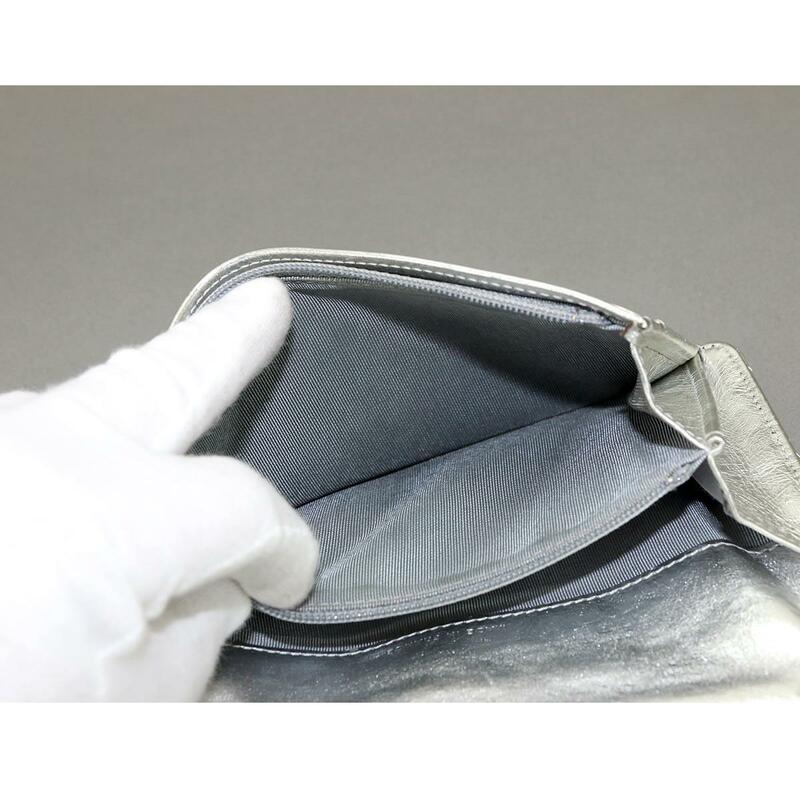 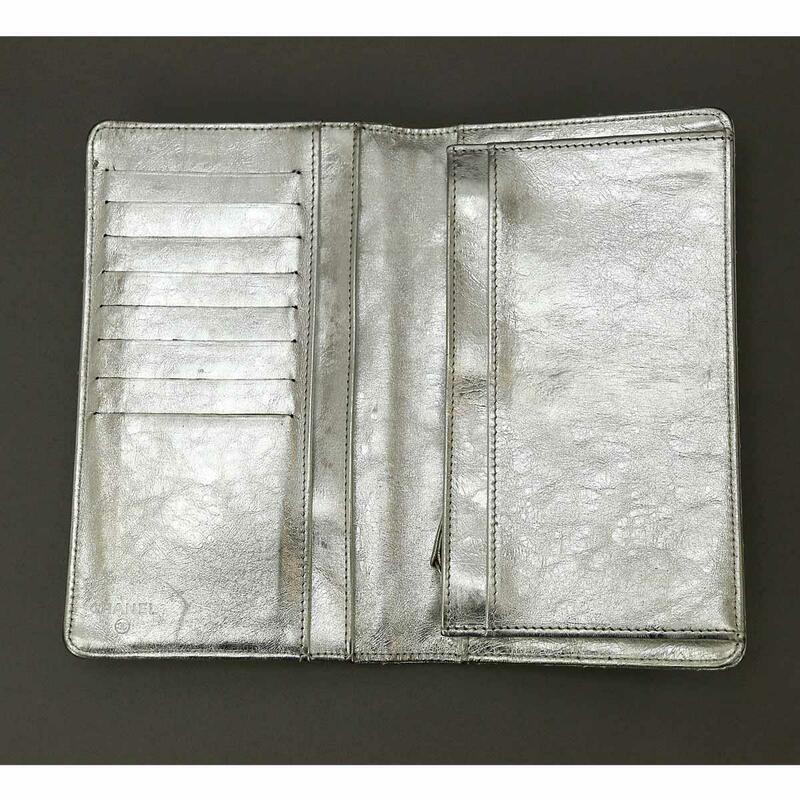 Inside: There are threads in the leather part and dirt, scratches and dirt, dirt in the pocket and wallet, coin purse, and floats in the card pocket. 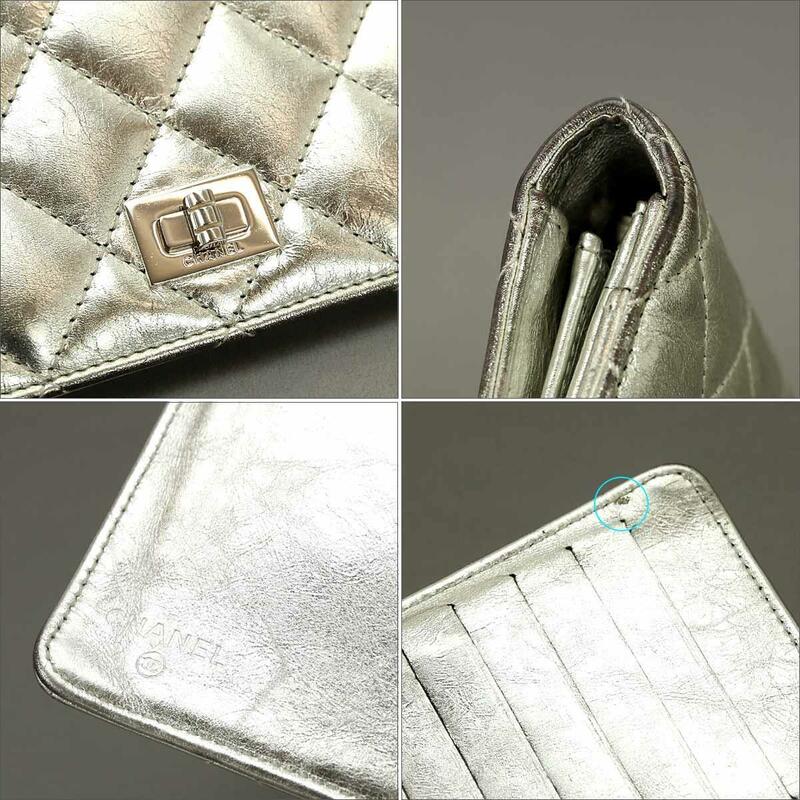 Although there is the above damage, it is a recommended gem that you can use for a long time.